For the weekend traveller who does not want the price of a seaplane or the hassle of BC Ferries, Discovery Seatours is your answer. 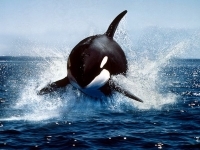 They depart from Ladner and Steveston on Fridays and arrive at Saturna Island in less than one hour and the returning trip departs from Saturna Island on Sundays. This site delves into Saturna's Spanish heritage, the fascinating stories in the Saturna community, and inspiring community projects like the rehabilitation of the East Point Fog Alarm Building, the most photographed building in the Gulf Islands. 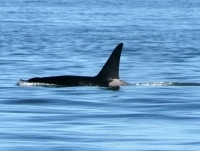 Almost 2/3 of Saturna Island is now protected within the National Reserve. Established in 2003, Gulf Islands National Park Reserve safeguards a portion of British Columbia's beautiful southern Gulf Islands archipelago. These islands are representative of the Strait of Georgia Lowlands, one of the most ecologically at risk natural regions in southern Canada. Thanks Tricia from Grouchy Crab Pottery! That's what it's all about! 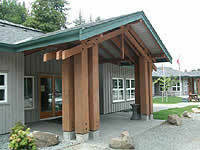 Sponsored by the Community Club, here you will find Information about the Saturna Island. 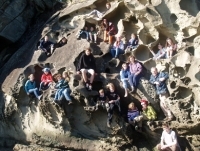 This program is an experiential, place-based ecological learning centre on beautiful Saturna Island. 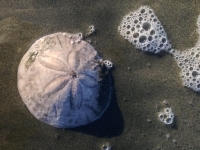 It provides Southern Gulf Islands students with elementary Eco-Adventures and high school Environmental Studies programs that is connected to the BC education curriculum which encourages learners to go deeper and immerse themselves in the natural world to feel, understand and act for the environment. Saturna's new multi-purpose Rec Centre, designed and built for a variety of social, corporate, religious, and sports activities, is available for hire. A commercial kitchen, a comfortable lounge and bar for receptions, a gym for sports, a large stage for performances and capacity of 300 will accommodate most any event. This website is Saturna's equivalent to a local chamber of commerce. 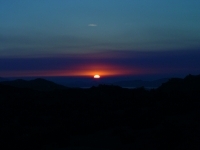 The website features information on accommodations and business services on Saturna Island. 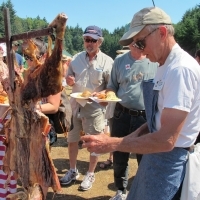 Shaw TV has featured the Saturna Island Annual Lamb Barbeque. This is a Country-fair flavored outdoor picnic celebrating Canada Day each year and held at Winter Cove, Gulf Islands National Park Reserve. Saturna Island has all it takes to make your wedding day unique and fun in one of the most picturesque gulf islands. There are mountain top, beach, ocean view, orchard and meadow settings. Your wedding can be a simple elopement or a gala affair. The island chef, Hubertus Surm can not be matched.